Where To Start When You Know You're Meant For More. You're supposed to be satisfied. You're NOT supposed to question the way things have worked out. ​ You've worked hard to get to where you are and whether you like it or not is irrelevant. It's just LIFE. Nevertheless, you FEEL that something is missing, or not quite right. 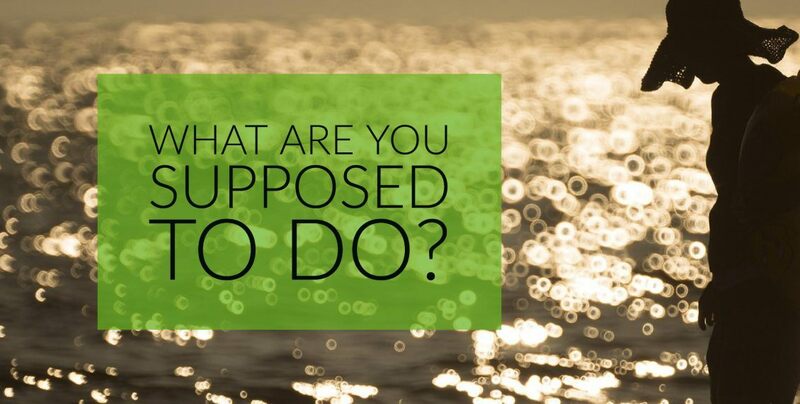 You want to know, you NEED to know: What are you supposed to do when you don't feel satisfied? You're supposed to be satisfied. You're NOT supposed to question the way things have work out. You've worked hard to get to where you are and whether you like it or not is irrelevant. You know there's something missing. You know you're meant for MORE but you can't quite put your finger on what that MORE is. You feel that something is missing, or at the very least, something is not quite right. But you're not really sure what sort of a sign you're looking for. Maybe you search the internet on the off chance you'll find the answer there. Now your biggest problem is how to narrow down the millions of results that good old Google throws up when you search online for help. You're confronted with help for singles, help for couples, help for business owners, help for employees, help for everything under the sun. Right now you're not even sure where to start. You don't really know which part of your life needs help the most or most urgently. It's confusing the heck out of you. The answer you're looking for? There's a deeper calling, a bigger picture. A thing you were meant to do. A person you were meant to be. Something got in the way. Something happened and one day you were here instead of there, and her instead of you. It's not enough, any more! You imagine you're imagining it. You want a fulfilling work life. A place in the world of work where you truly feel that you belong. You want a home life that soothes your soul and fills your heart. Whatever your dream is, I can tell you this: You Can Have It, ALL of it. What I'm trying to say is that it's never just about one thing, or one aspect of your life. It's generally a combination of things that when put together cause you to feel dissatisfied with your life as it currently is. There's one piece of the puzzle that's guaranteed to get the results you seek though, and that piece is YOU. It doesn't matter how much you fight change. It doesn't matter how much you believe it's someone else, and not you that's the problem, as soon as YOU decide to change things the magic will begin. I feel like I'm talking in riddles a bit here. It's really very simple though. YOU have to change. You have to grow. You have to evolve. If you want a life different to that which you are living then YOU have to be the change otherwise nothing changes. And that's why it's never really JUST about the job or the kids or the marriage or the business and why instead it's all about YOU.